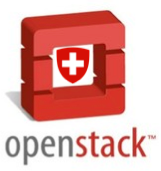 We (ICCLab and ZHGeeks) are pleased to announce the 2nd Swiss OpenStack Meetup. It will happen on the 19th of February in Zurich at ETH. If you’re keen and interested in attending then please register here. Organized in conjunction with IEEE International Communications Conference (ICC 2013) 9-13 June 2013, Budapest, Hungary. significantly impact on novel applications as well as on ICT infrastructures. networks. Moreover, it will focus on possible integration scenarios and synergies between them. registered but not presented paper from the IEEE digital library. publication in Special Issues of prestigious International Journal.